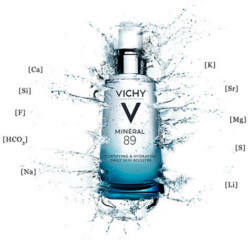 Fill out the form to get a FREE sample of Vichy Mineral 89 Hyaluronic Acid Moisturizer. Freebies are the BEST!!! I remember when I was first married we got free samples all the time and it was glorious! Now I have 5 kids and just try to keep up with life day to day…The kids weren’t free.